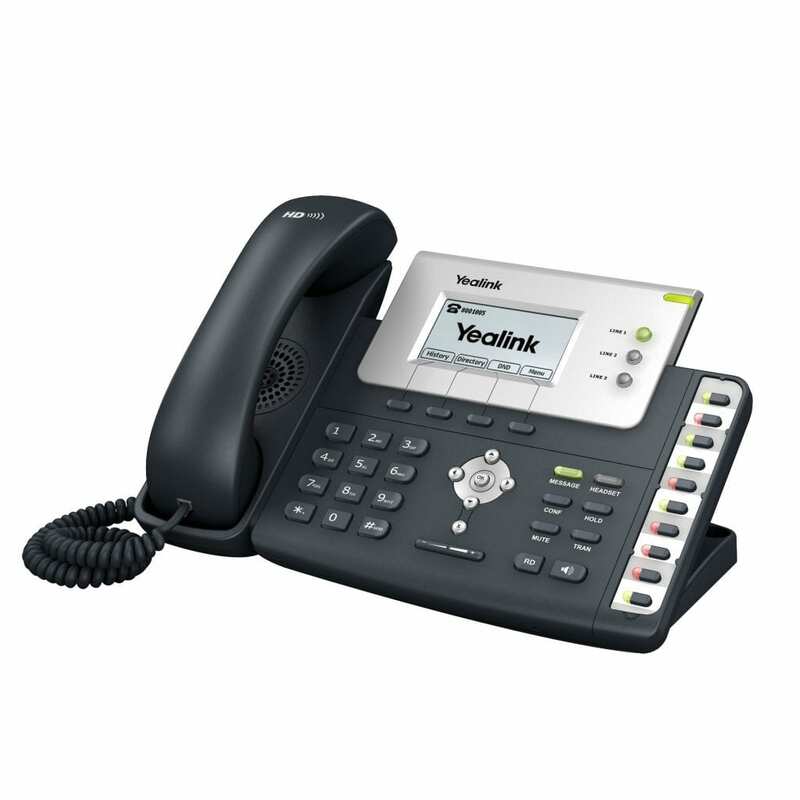 Even the normal business environment requires exceptional functionality, and the Yealink SIP-T26P is the phone to offer just that. The phone utilize the TI Titan chipset and provides HD audio quality through TI’s voice engine. The device also utilizes an HD codec (G.722), speaker and handset to keep audio quality optimal. The device has built-in 10 programmable DSS keys for IP-PBX functionality (including intercom services, BLF, BLA, XML browsing, call pick-up and host-desking). The device also has 4 softkeys and 6 navigation keys for ease-of-use. The phone has 10 more keys to provide exceptionally convenient use of call control & audio control features. Utilizing Power-over-Ethernet, ports for module expansion, Open VPN security adherence and 802.1x support, the SIP-T26P is a great full-featured phone for every work environment.